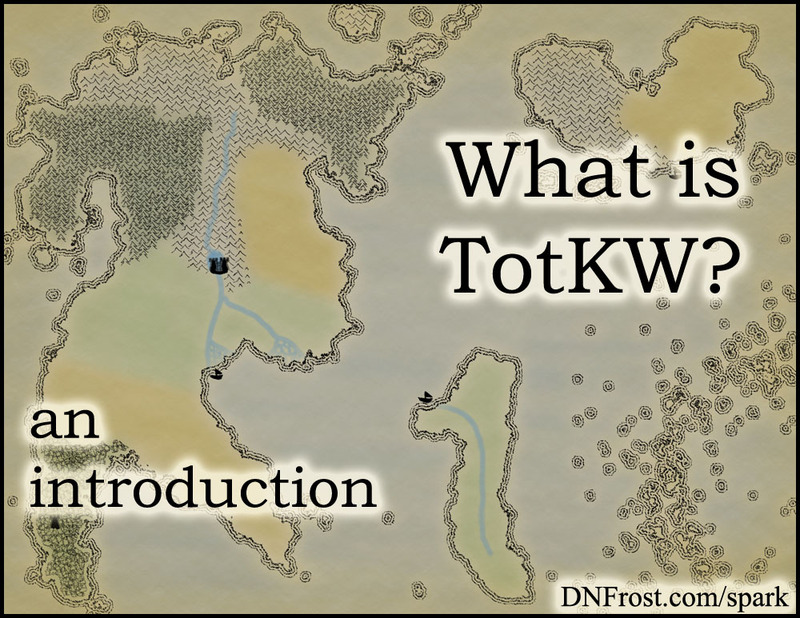 D.N.Frost and TotKW Books: What is TotKW? The acronym TotKW stands for Tales of the Known World, my epic fantasy saga, which I pronounce "TOT-koo" in my head. Much of this website is dedicated to my saga and the various online resources supporting my work, so I use the TotKW tag for any post regarding or referencing my fantasy world. Despite my passion and decades of hard work, I know my Tales of the Known World saga isn't going to please everyone. Not everybody likes fiction, let alone fantasy. But the saga appeals to certain types of people, for a few specific reasons. I believe that over time, my TotKW saga will find its way into the hearts of fans. If you are a gamer, TotKW is for you. I present a whole world to house your games, from the online role-players and costumed LARPers, to the fanfic writers and tabletop dice-rollers. My tales aren't the only stories in the Known World, and unlike most authors, I invite you to take part with your own games. I've drawn maps and outlined cultures for you to build into your own adventures, and your art, fan-fiction, and RPGs have a dedicated page. If you're a fantasy fan, TotKW is for you. Even if you don't game, you'll love exploring fantasy traditions from new angles. My saga offers dragons, gryphons, and other mythical creatures, at once familiar and unconventional. You avid readers and Tolkien fans will enjoy the epic plot and vivid characters racing your heartstrings through the story. 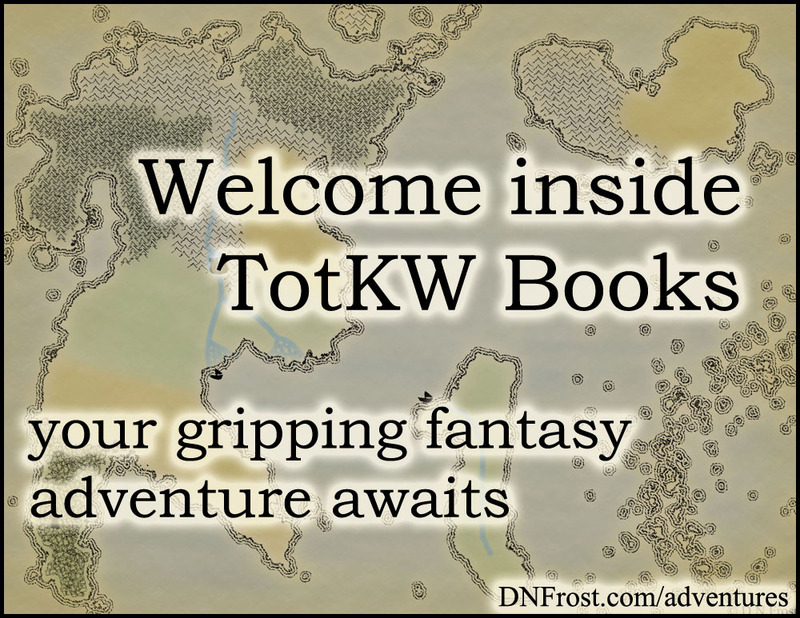 If you're an adventurer, TotKW is for you. Do you adore maps? Are you a natural-born navigator? Follow along on the adventure, and discover new lands beyond the scope of the novels. If you love mythology, TotKW is for you. Creation myths vary across the Known World, informing religious paradigms and shaping diverse societies. If you love stretching your imagination, TotKW is for you. Your mind's eye will bring to life a vibrant world to spark your inspiration, and evoke your own stories. If you love riddles, TotKW is for you. Alongside the story come prophetic riddles, scripted as poems for fans of meter and rhyme. For the dedicated code-breakers, a calendar system dates every prophesy, tracking cycles of the sun and two moons. Can you decode the upcoming Tales of the Known World? If you love language, TotKW is for you. With my Linguistics degree, I've constructed languages that interact with their native cultures. The names on the maps reflect the lands and their history, and the saga supplies snippets of foreign language you can translate if you're intrigued. If you believe in magic, TotKW is for you. Whether you subscribe to tarot or the law of attraction, you'll find familiar principles guide the magic of the Known World. 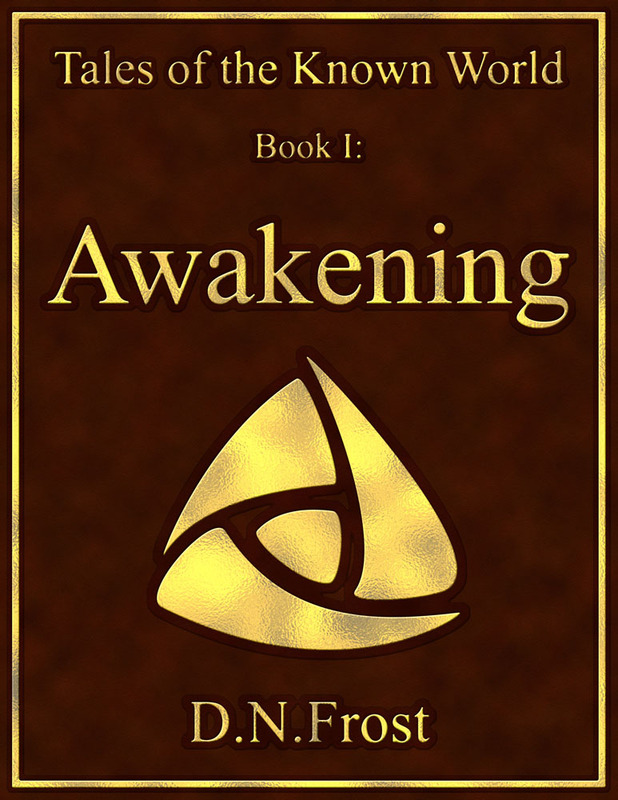 Multicultural lessons of enlightenment shape my characters and their unfolding journeys. May your own path become clearer through joining my characters on theirs. I'll say again, my Tales of the Known World saga isn't for everyone. But if you are a fantasy fan, an avid reader, a poet, a gamer, a lover of mythology, a linguist, an adventurer, a riddler, dreamer, or believer...then TotKW is for you.